Should you be concerned if your child breathes through their mouth? HomeBlogShould you be concerned if your child breathes through their mouth while sleeping? Should you be concerned if your child breathes through their mouth while sleeping? Normal breathing is always done through the nose. Each nostril functions to filter, warm, moisturize and dehumidify the air. Mouth breathing by children is normally due to a nasal obstruction or congestion that prevents them from taking in sufficient air through the nose. Chronic allergic rhinitis, nasal polyps are some of the common causes for nasal obstruction. However, in some habitual mouth breathers this is not the case. Their brain thinks Carbon Dioxide is being lost too quickly from the nose and stimulates some cells to produce mucus in the nose to slow the breathing. This creates a vicious cycle of mouth breathing triggering mucus formation, nasal passages blocking, leading to more mouth breathing. Mouth breathing can have dire consequences such as dryness of the mouth leading to inflamed tonsils, dry cough, swollen tongue, bad breath, gingivitis and caries. Another problem with the mouth breather is that they take in less Oxygen when compared to normal breathers. Normal nasal breathing follows a gentle wave pattern with 10-12 breaths per minute. While mouth breathers take too many breaths at a rate of 12-20 per minute. Breathing delivers Oxygen to the cells of the body and removes excess Carbon Dioxide. Surprisingly, Oxygen is absorbed when we exhale not when we inhale. The back pressure created in the lungs with the slower exhale of nose breathing allows more time for the lungs to transfer Oxygen to the blood. This exchange requires Carbon Dioxide. Exhaling through the mouth blows the Carbon Dioxide too quickly, resulting in less Oxygen absorption. Moreover, with nasal breathing Nitric Oxide is released in the nasal cavity and also inhaled. Nitric Oxide increases the efficiency of the Oxygen absorption by 18% but with mouth breathing, there is no Nitric Oxide inhaled and therefore less Oxygen is absorbed. This reduced intake of Oxygen absorption over a period of time leads to series of problems such as disturbed sleep, low stamina and energy levels, enlarged and inflamed tonsils and adenoids and increase risk of upper respiratory tract infections and even ADHD problems. Children diagnosed with ADHD (Attention Deficit Hyperactive Disorder) may be mouth breathers who are simply sleep deprived. 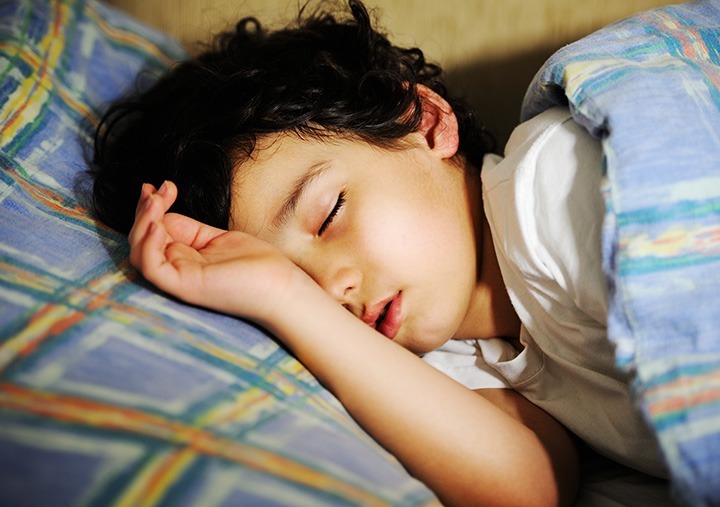 When they grow into adults, they may develop sleep apnea with more serious consequences. Mouth breathing also can affect the growth of the face. In normal breathing, the tongue rests against the palate without touching the teeth. In this position, the tongue muscles acts as a balancing force to the external pressure on the dental arches and the teeth by the cheek muscles. With the mouth breathers the tongue is placed low and forward allowing the cheek muscles (buccinators) to exert pressure on the upper arch causing it to collapse. Children who mouth breathes have an under developed narrow upper arch (maxilla) with a high palate. The lower jaw also drops down and the patient gets a long face (called “long face syndrome”). To determine if someone is a mouth breather is not always easy. Dentists are in a good position to diagnose mouth breathing. It is important that mouth breathing should be diagnosed early and treated to prevent long lasting damage. Treatment of mouth breathing may involve identification of the causing factor and treating it. It may also include myofunctional therapy by a Pedodontist / Orthodontist involving use of appliances to expand the upper jaw and increase the airway passage and also training the child on correct breathing using breathing exercises. I want to to thank you for this fantastic read!! I certainly loved every bit of it. Previous post: What are the Causes of Bad Breath? Next post: Can Baking Soda and Lemon be Used for Teeth Whitening?